Only recently discovered in 1999, this species has been sibbed by the famed Mr. Bear for the last ten years to achieve improved form and color ! Endemic to China and northern Vietnam, this rare species grows on shady limestone cliffs and experiences a cold dry winter and a wet warm summer. 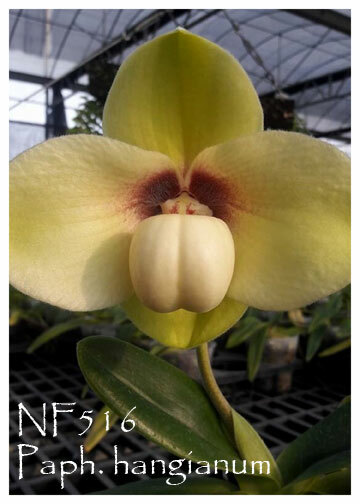 Each mature growth produces a single sweetly fragrant flower on an erect 6-12cm inflorescence in the spring to summer. 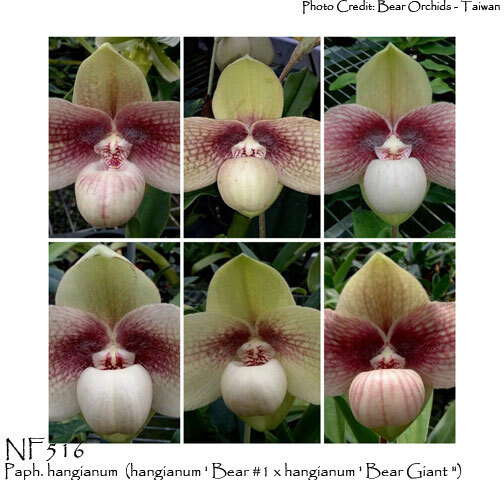 After ten years of very selective sibbings with this species, Mr. Bear has created an extremely full flower with the richness of color well beyond the original collected clones. This generation is an amazing sibbing and Very Highly Recommended ! hangianum ' Bear Giant "